Let’s say you have a little spare cash — a couple hundred grand, maybe a million — burning a hole in your pocket. Maybe you’ve come upon it through questionable means. Or maybe you would prefer to keep it out of the grubby hands of various tax authorities. Or you don’t want your spouse to know about it. Or your kids. Fear not. With a little financial detergent, your dirty money can be rendered more or less untraceable. It must be said that the flow of illicit capital is distorting the global economy, draining wealth from emerging nations and inflating the cost of assets in the developed world. Neither of which seems to deter people from doing it every day. China leads the world in this ancient art. Between 2002 and 2011, some $US1.08 trillion departed the country illegally, despite currency-control laws that require people to obtain a permit to exchange more than $US50,000 a year worth of yuan into any foreign currency. But this is a truly international pastime. During that same period, some $US880.96 billion was spirited out of Russia, $US461.86 billion left Mexico, $US370.38 billion left Malaysia, $US343.93 billion left India, $US266.43 billion left Saudi Arabia, and $US192.69 billion left Brazil. The total outflow, among 20 emerging economies, was $US5.9 trillion, equivalent to $US49 billion a month. From corrupt politicians and drug cartels to tax cheats and alimony deadbeats, more or less everybody’s doing it. Americans wishing to spirit their cash offshore are increasingly finding their efforts thwarted by Washington’s 2010 Foreign Account Tax Compliance Act, which requires foreign banks to turn over information about accounts held by US citizens. But plenty of avenues remain for the dedicated money launderer — particularly if he or she is willing to violate the law. Macau and Hong Kong are considered Special Administrative Regions of the People’s Republic of China, and part of what makes them special is that they are great places to launder cash. Macau is the casino capital of the world, with seven times more gaming revenue than Las Vegas, and Hong Kong is home to plenty of compliant banks and other intermediaries willing to transfer funds anywhere in the world without asking too many questions, for a fee. Let’s say you live or work in China and want to hide a massive bribe. First, you must convert it from yuan into another currency without the government knowing. The easiest way to do this is to contact a junket, an agent in mainland China who will give you casino chips for your cash, minus fees of up to 20%. Take the chips to a friendly, cooperative casino, where you can gamble with them, cash them in for Hong Kong or US dollars to then spend as you see fit, or deposit in a Hong Kong bank branch. Or, for extra safety, take them to a lawyer specializing in offshore laundering. Meanwhile, the casino will mix your chips with those from legitimate gamblers, and its accountants will book your $US1 million as paid-out winnings. Your bank or lawyer must wire-transfer the funds in such a way that the money crosses multiple borders, to frustrate detection or confiscation. For instance, the money might end up in a US trust managed by a shell company in Grand Cayman, owned by another trust in Guernsey with an account in Luxembourg managed by a Swiss or Singaporean or Caribbean banker who doesn’t know who the owner is. You remember the Smurfs, those adorable little blue creatures? In financial circles, “smurfs” aren’t so innocent. They’re everyday folks who help the big guys launder their cash by making tons of tiny bank deposits and transfers in order to move money without detection. After arranging a smurf deal by phone or email, you’ll be asked to have the cash couriered to a smurf’s residence (probably not a mushroom in the forest, but you never know). The smurf will then deposit small amounts of your cash into an account every day for weeks or months — or years — avoiding watchful eyes by keeping the numbers small. Along the way, you can ask your smurf to withdraw some cash — which has since been rendered untraceable — for a shopping spree. But don’t go crazy. Better to have a bank wire-transfer the money to your offshore accomplices or your shell companies. Smurfs are supposed to stay under the radar. That’s what makes them smurfs. But the rise of internet banking had made smurfing even more lucrative, and some top practitioners became so big they began to draw attention. For years, Hong Kong’s most prolific money launderer was a teenager named Luo Juncheng, who originally opened a Bank of China account with a $US500 deposit. During the next eight months, he made nearly 5,000 deposits, and more than 3,500 withdrawals electronically, moving $US1.67 billion offshore before attracting notice. He was sentenced to 10 years in prison in 2013 — bad news for the smurf, and his clients. Other smurfs come to attention of authorities through their flamboyant lifestyles. In March, another Hong Kong resident, Carson Yeung, was sentenced to six years for laundering $US91.27 million through his bank accounts between 2001 and 2007. A former hairdresser who’d since bought the UK’s Birmingham City football team, he claimed he had accumulated hundreds of millions of dollars in profits from stock trades, a hair salon, and gambling. The real big shots don’t bother with casinos, crooked bank managers, junkets, or smurfs. They manage to transfer millions, or billions, without handling cash or involving banks at all, instead funelling their money through corporate deals (bribes, kickbacks, and embezzlement schemes), which are exempt from currency controls. Let’s say you’re a government official or corporate executive, and you want to receive a $US1 million bribe or kickback for giving a lucrative and excessively priced contract to a foreign or local business. You approve the contract, and its payment, and pad the consideration by a few million, which includes $US1 million for yourself. The client puts your $US1 million overpayment into a shell company in an offshore jurisdiction, where your ownership can remain anonymous. You are then free to invest or spend the money. The business writes it off as an expense, paid out to an offshore consultant. Or perhaps you’d prefer that your $US1 million be used to buy an asset offshore for you, or that it be paid out gradually in salaries or fees to family members. Either way, you’re good to go. It’s the same thing in reverse. Simply sell your goods or services to a business at a price that is less than the goods or services are worth. Then, out of the embezzled funds, you get $US1 million directly from the company that got the bargain. These funds can be placed directly into anonymous offshore account or into an asset of your choice. They are a girl’s best friend and a government regulator’s worst nightmare. Let’s say you want to bring $US1 million into the US without detection by tax authorities. One UBS whistleblower testified that clients were urged to buy diamonds for cash, then smuggle them overseas in toothpaste tubes to fool authorities. The gems can then be sold for cash, to private dealers, once you rinse off the Colgate. Another technique is to transfer your funds to anonymous debit cards. And if you want to go old-school, collectible stamps still have their fans. In May, Credit Suisse admitted guilt to such activities and others — such as shredding documents and keeping transactions below the US $US10,000 reportable limit — to help American clients avoid taxes, paying a fine of $US2.6 billion. But nobody really thinks they’re the only ones. The would-be launderer should take note: Crime still pays, but the costs are on the rise. A gigantic crackdown in the West, and a similar one against corruption in China, will abate illicit money flows in the long run. In the short term, however, both crusades appear to have escalated the exodus of cash. According to the UN, the largest recipient of FDI (Foreign Direct Investment) in 2013 was the British Virgin Islands, an archipelago with 23,000 residents. About $US92 billion in foreign cash washed up there, more than India and Brazil combined. Other havens receiving massive “investments” included the Cayman Islands, Liechtenstein, Monaco, Andorra, and Vanuatu. But the money doesn’t necessarily stay there. In 2014, the Chinese overtook the Russians as the largest buyers of New York City condos. 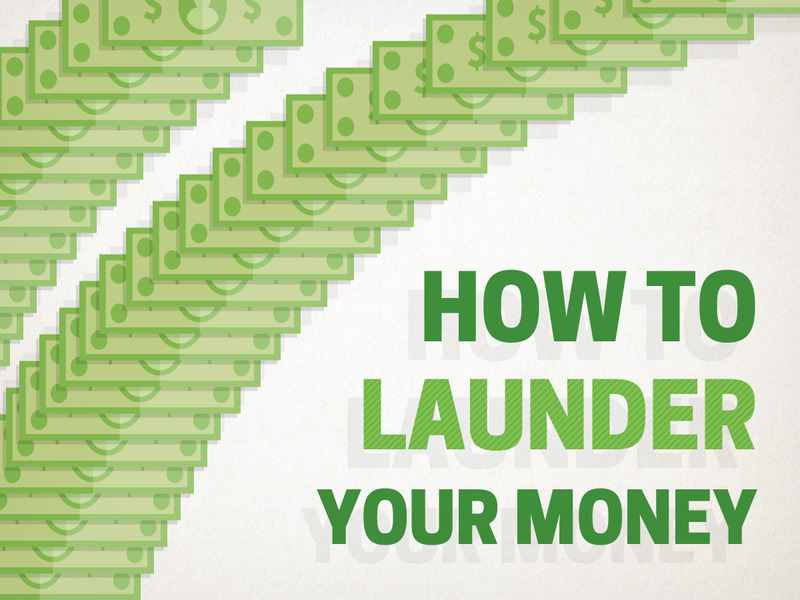 Other laundered money is used to purchase London mansions, yachts, securities, art, and luxury estates around the world. These funds also dominate stock and bond markets. By 2012, tax havens held about 29% of the total foreign investment (corporate, bonds, stocks) in the US. By comparison, China held only 7% of assets. But the hard reality for launderers is that “good” banks are harder to find every day, and so are jurisdictions providing complete anonymity. As a result, some very big fish are starting to get caught in the dragnet. One high-profile case in is now underway in Spain, where the world’s greatest soccer superstar, Lionel Messi, and his father stand accused of laundering $US5.56 million (4.2 million euros) worth of sponsorship dollars. They deny all allegations. Meanwhile, the third Smurfs movie — said to be a thorough reboot — is being prepared for a 2016 release after the first two films grossed a total of nearly $US1 billion worldwide. It sounds like a fine investment opportunity. Diane Francis is editor at large with The National Post and a professor at Ryerson University’s Ted Rogers School of Management.